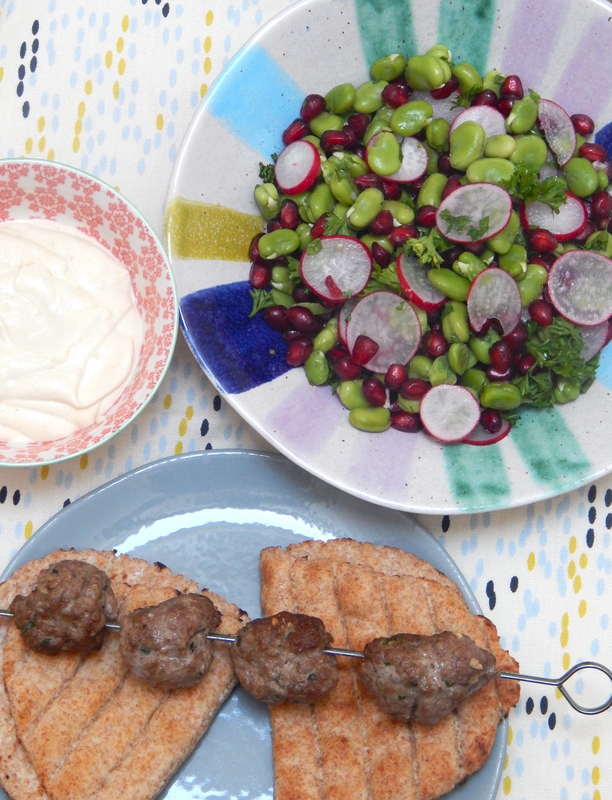 I do enjoy eating alfresco wherever I am though, and light, summery dishes are usually quite quick and easy to make. This dish is a case in point – the most time-consuming bit is shelling broad beans (which I actually quite enjoy doing). 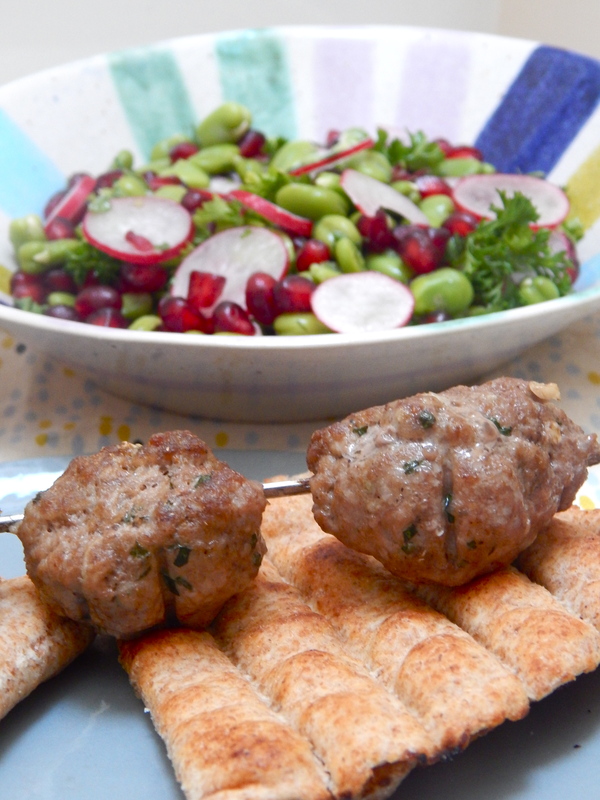 To make the kofta’s: Mix the lamb mince with the cumin, coriander, garlic and harissa (if using). Separate into 8 balls, then roll to make ovals. Thread onto metal skewers then place under a grill (or on a griddle pan or bbq) and cook for approx 3-4 mins on each side, until lightly brown. To make the tahini dressing: Mix the tahini, yoghurt, olive oil and salt & pepper in a bowl and set aside. 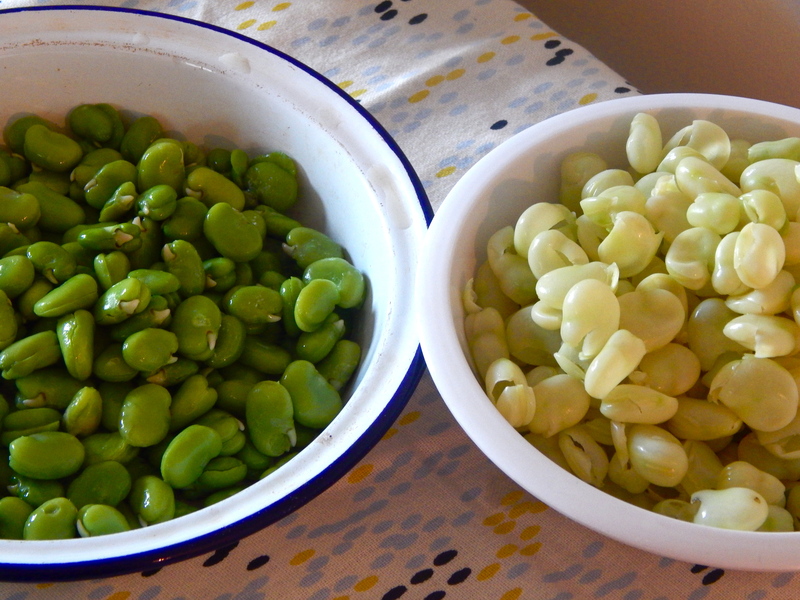 To make the salad: Blanche the broad beans and shell, then put in a large bowl. Remove the seeds from the pomegranate and add to bowl. 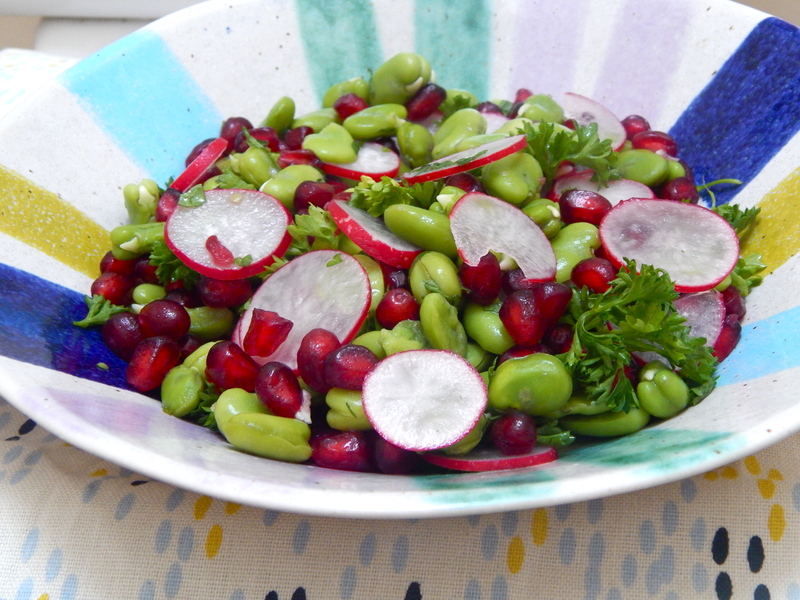 Add the sliced radishes, the mint, parsley and a drizzle of olive oil and white wine vinegar, and mix well.